Students applying to vet school. Students wishing to further a career in vet nursing. Students looking to study Zoology or Animal Behaviour. We work closely with major vet schools in the UK and Europe, and understand the complexities and procedures of the application process. It is our intention that during your stay here you are exposed to as much practical hands on experience and knowledge to enable you to provide a fully comprehensive statement of experience to support your application and assist you through the application process, and support your "Personal Statement" with relevant knowledge. Over the last 10 years we have hosted students from all over the world at our animal park in the South of France. We are originally English, and all of our work onsite is in English. 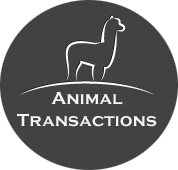 nutrition and husbandry for - Pigs, poultry, Llamas, alpacas, camels, sheep, goats etc. questioning skills and how to make the most of work experience placements. Accommodation is onsite staying in our family home in purpose built student accommodation. Accommodation is fully inclusive, and includes free Wifi, calls to European landlines, laundry washing facilities, refreshments etc. Whilst here students will require just pocket money for local village visits to stock up on chocolate / souvenirs etc. We provide 3 meals per day. Dinner is home cooked and typically uses organic produce grown onsite. Return airport transfers are included with our recommended (English) driver from Toulouse to the park. Paul and Sarah Bird moved from SW England to the South of France 10 years ago. Bringing our two small children, a car load of cats and dogs to set up our animal park ( zoo registered) in the foothills of the Pyrenees mountains. We have been hosting students from around the world for over 8 years, most of whom have left here to pursue professional careers in veterinary or zoological environments. Our animal park has recently celebrated it's 10th anniversary - for more information visit www.lamaisondeschameaux.fr or our facebook page. Our family language is English, and students need no knowledge of the French language to join us here. Whilst we host students, we feel a duty of care to ensure their personal safety. Students are given a thorough Health and Safety briefing on arrival, encouraged to work in teams with their peers, and the reassurance of 24 hour internet and phone access. Please be aware that our park is rural, we are 10 minutes walk from the nearest corner shop, and 5 minutes drive from a local supermarket. Occasionally our internet speed is slow, but in case of emergency we offer free use of all phones. If you're interested in booking a placement with us, please use the contact form provided. This placement differs from an EMS University placement. Students looking for an EMS placement should apply to our EMS program.